The single largest section of the Barber Institute’s coin collection comprises its Byzantine coins. 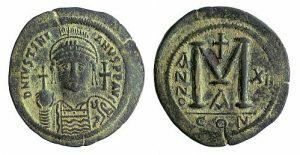 The most important collection of Byzantine coins in Europe, the Barber Institute houses examples of all periods of Byzantine monetary history and a number of rare specimens. 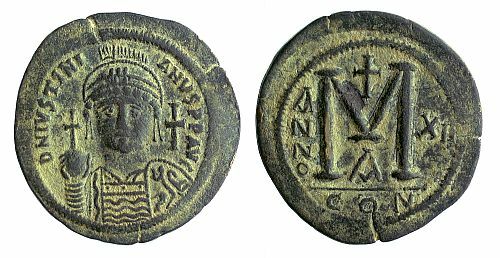 Around 8,000 of the Barber’s 16,000 coins are Byzantine. The Byzantine Empire is the term historians use to refer to the Roman Empire after Christianisation and the movement of the capital, in 330, from Rome to Byzantium, which was renamed Constantinople in honour of Constantine I, who moved it. When this line is drawn can vary, but usually falls somewhere between 284 and 717. The “Byzantines” themselves, however, referred to themselves as Ῥωμαῖοι (Rhomaioi – Romans), while western medieval people referred to the “Byzantine Empire” as the Empire of the Greeks. 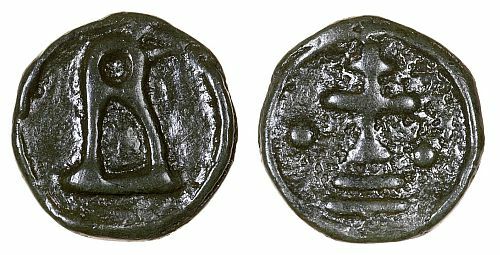 Numismatically, the line between the Roman and Byzantine Empire is drawn at the monetary reforms of Anastasius I in 498, though in practice this means from Anastasius’s accession in 491. Coins of the Constantinian family are considered Roman, and coins from Jovian to Zeno are considered Late Roman. The Empire is generally considered to end in 1453, when Constantinople fell to the Ottomans. There were, however, Byzantine states, such as the ‘Empire’ of Trebizond, which continued until 1461. The coins of the Byzantine Empire functioned on a tri-metallic system – gold, silver and base metal (usually a copper alloy). These coins were produced at different mints across the Empire, which varied from century to century. The Barber’s collection represents most periods and mints very well.